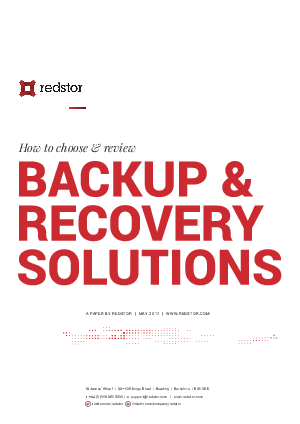 Backup and recovery have been a constant for organisations over the years, often not seen as glamorous aspects of an IT environment but as solutions that are necessary all the same. Environments have changed over the years and the focal use for backups have changed with them, although your solutions may not have. Taking a simple off-site backup, whether this be to disk, tape or other removable media, would once have been the last line of defence for data protection. Solutions were reliable and ensured data could be recovered in a timely manner.